Raumfahrt - The SpaceX Big Texas Spaceport Is Coming. But Will It Have Anything To Launch? Luftfahrt - Could airships become part of today’s air transportation system, as passenger or cargo haulers? Raumfahrt - A team of scientists from Germany has succeeded in creating a Bose-Einstein condensate for the first time in space on board a research rocket. Mars-Chroniken - Mars scientists edge closer to solving methane mystery The warming power of the Sun could help to explain why the level of gas in the atmosphere changes with the seasons. The Soyuz-2.1b carrier rocket and the Glonass-M navigation satellite have been launched from the Plesetsk Cosmodrome, the Russian Defense Ministry told journalists on Saturday. "On Saturday, November 3 at 23:17 Moscow time the operational crew of the Space Troops of the Aerospace Force successfully launched the Soyuz-2.1b medium capacity carrier rocket with the Glonass-M navigation spacecraft from launching unit 4 at platform 43 of Plesetsk Cosmodrome (Arkhangelsk Region)," the ministry reported. All the prelaunch operations and the launch of the rocket carrier were carried out in a routine mode. "The systems of the land automated complex for spacecraft operation of the Russian orbital group carried out control over the launch and flight of the carrier rocket," the Defense Ministry noted. Commander of the Space Troops and Deputy Commander-in-Chief of the Aerospace Force Colonel General Alexander Golovko, who arrived at the cosmodrome, carried out general command of the launch. The Fregat upper stage with the Glonass-M satellite separated from the third stage of the Soyuz-2.1b carrier rocket in a normal mode at 11:28 pm Moscow time on Saturday, an official with Russia’s Defense Ministry told reporters. "At 11:28 om Moscow time, the head unit of the Soyuz-2.1b medium capacity carrier rocket as part of the Fregat upper stage and the Glonass-M spacecraft properly separated from the third stage of the carrier," the official said. This is the fourth launch of a Soyuz-2 carrier rocket from Plesetsk Cosmodrome in 2018. 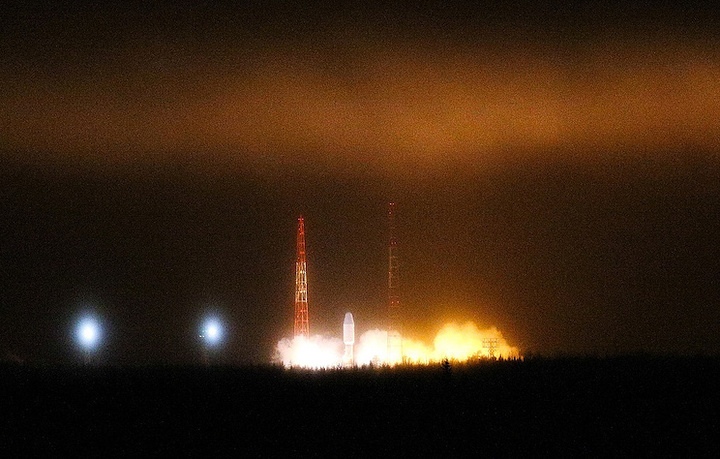 A Russian Soyuz-2-1b rocket launched from the Plesetsk Cosmodrome Saturday night, deploying a replacement satellite for the GLONASS navigation system with the aid of a Fregat-M upper stage. Liftoff is due to take place at 23:17 Moscow Time (20:17 UTC), beginning a three-and-a-half hour journey to the spacecraft’s destination orbit. Russia’s GLONASS navigation system is served by a constellation of satellites named Uragan, meaning Hurricane. The current-generation Uragan-M spacecraft are designed for seven years of service, with new satellites being launched as needed to replace failing spacecraft on orbit. Saturday’s launch deployed Uragan-M No.757 – the forty-eighth Uragan-M and the 137th GLONASS satellite overall. Like the US Global Positioning System and Europe’s Galileo, GLONASS uses satellites in medium Earth orbit broadcasting highly-accurate timing signals which receivers can use to triangulate their locations. GLONASS satellites broadcast four navigation signals in the L-band: unrestricted L1 and L2 signals for civilian use, and equivalent restricted signals for the Russian military. Accurate timing is maintained for these signals by caesium atomic clocks aboard the satellites. GLONASS requires twenty-four satellites, stationed in three planes of eight spacecraft each, to provide worldwide service. Saturday’s launch appears to be targeting the second plane of the constellation. Russia has not identified which spacecraft Uragan-M No.757 will replace. It has been speculated that it might replace Uragan-M No.723 – or Kosmos 2436 – which was launched in December 2007. This satellite was previously withdrawn, only to be pressed back into service after another spacecraft failed. Other candidates include the two oldest GLONASS spacecraft still in service: Nos. 716 and 717 (Kosmos 2425 and 2426), which shared their ride to orbit atop a Proton rocket on 25 December 2006. 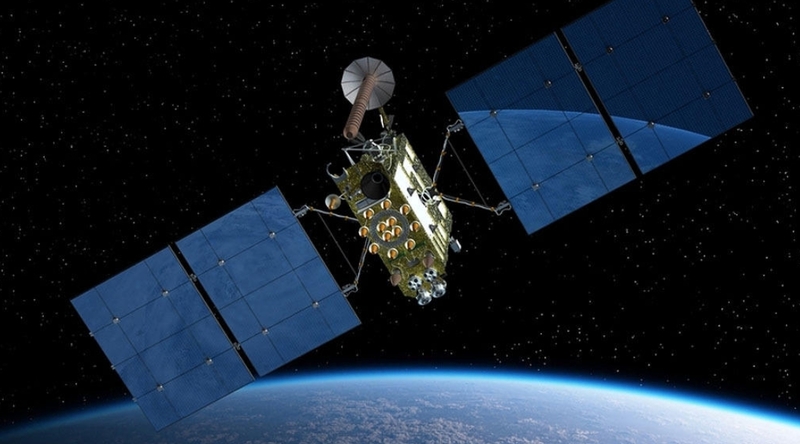 A third satellite launched aboard the same rocket has already been decommissioned. The GLONASS program was initiated by the Soviet Union in the 1970s, with the first satellite reaching orbit in 1982. Under the control of the Russian government, the network achieved initial operational capability in 1993, before becoming fully operational in 1996. First-generation Uragan satellites were only designed to operate for three years, so the system required frequent replenishment launches. Soon after GLONASS became operational, older satellites started to fail faster than replacements could be deployed, and the system fell into disrepair. By 2001, fewer than ten satellites were serviceable. Recognizing its importance, then-President Boris Yeltsin directed in 1999 that the GLONASS system must be maintained and upgraded. Since becoming president, Vladimir Putin has also taken a personal interest in the program. To reverse the decline of GLONASS, second-generation Uragan-M spacecraft were introduced in late 2001. Offering a fivefold increase in accuracy and an improved on-orbit lifespan, Uragan-M can be launched in trios aboard Proton rockets, or – as with Saturday’s launch – alone atop a Soyuz. Each Uragan-M has a mass of 1,415 kilograms (3,120 lb). A new generation of Uragan-K satellites is under development, with two initial spacecraft already in orbit. Further Uragan-K launches are expected next year via Soyuz and Proton-M rockets. 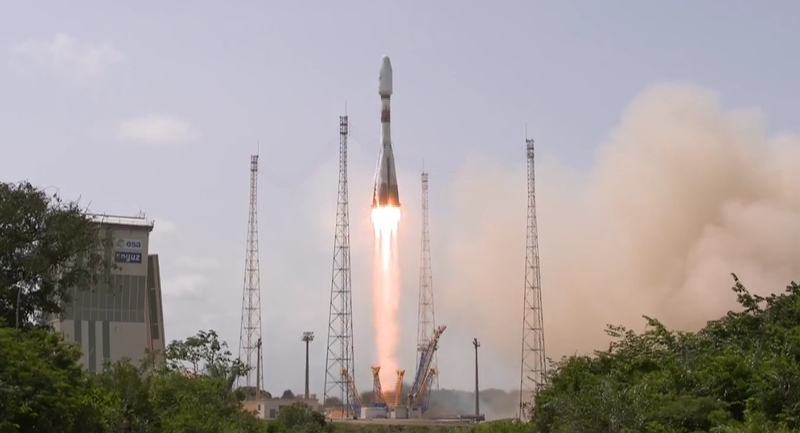 Saturday’s launch made use of a Soyuz-2-1b rocket with a Fregat-M upper stage. The Soyuz-2-1b is a modernized version of the Soyuz family of rockets, which trace their history back to Sergei Korolev’s R-7, the world’s first intercontinental ballistic missile. The R-7, which first flew in 1957, was also used to launch the world’s first satellite – Sputnik – and formed the basis of the rockets that carried Yuri Gagarin’s Vostok 1 mission into orbit and deployed the Soviet Union’s earliest probes to the Moon and the planets. While retaining the basic design of the earlier rockets, the Soyuz-2 series was engineered to improve performance and reliability. Digital flight control systems replace the analog equipment used on earlier versions of the Soyuz, while the first and second stage engines have also been upgraded. Three versions of the Soyuz-2 have been developed: the Soyuz-2-1a is closest to the previous-generation Soyuz-U, while the Soyuz-2-1b also replaces the third-stage engine with the more powerful RD-0124. The third version, Soyuz-2-1v, is designed to carry smaller payloads at lower cost: it is a two-stage rocket based on the second and third stages of Soyuz-2-1b. Soyuz-2 first flew in November 2004, with the Soyuz-2-1a performing a suborbital test flight. The first Soyuz-2-1b was launched at the end of 2006. While the standard Soyuz-2-1b is a three-stage vehicle, upper stages can be used to carry satellites into higher orbits than the core vehicle could reach, or to inject payloads into more precise orbits. 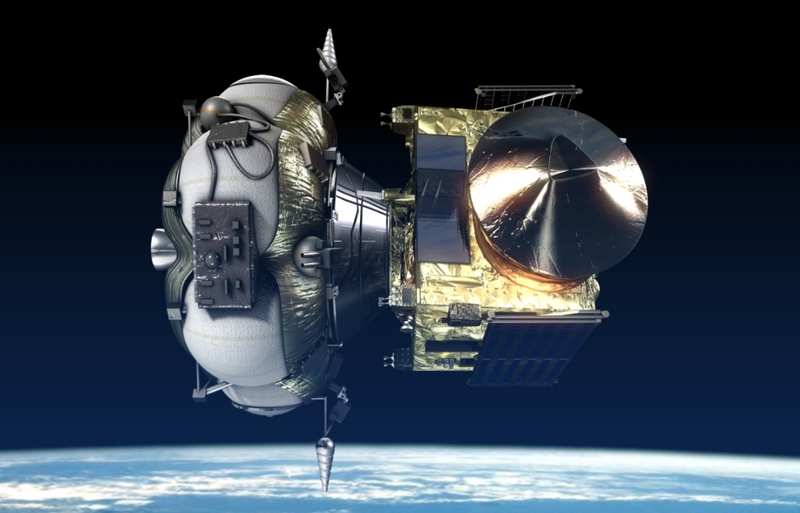 Several versions of the Fregat – Frigate – upper stage have been used in conjunction with Soyuz-2, while the Soyuz-2-1a and 2-1v have also flown with the smaller Volga upper stage. For Saturday’s launch a Fregat-M was used, allowing deployment of the Uragan-M satellite directly into its operational orbit. Soyuz launched from Site 43/4 at the Plesetsk Cosmodrome in Northwest Russia. Plesetsk is one of four Soyuz launch sites worldwide – alongside the Vostochny Cosmodrome in Eastern Russia, the Baikonur Cosmodrome in Kazakhstan and the Centre Spatial Guyanais in Kourou, French Guiana. Site 43/4 is the only operational Soyuz launch complex at Plesetsk – although Sites 43/3 and 16/2 are undergoing renovation to support Soyuz-2 rockets in the future. A fourth pad, Site 41/1, was last used in 1989 and has since been dismantled. Soyuz rockets are assembled horizontally, in an assembly building – MIK – away from the pad. The rocket is then rolled out and erected at the launch pad, with arms being raised into position to support the vehicle. The rocket that was used for Saturday’s launch arrived at the pad on Wednesday, with testing of the rocket and spacecraft completed successfully the following day. About sixteen seconds before it is due to lift off, Soyuz ignited its first and second stage engines. The first stage consists of four boosters – each powered by an RD-107A engine – which are clustered around the second stage. The second stage is powered by an RD-108A, a version of the RD-107A which incorporates additional vernier motors to help control the rocket’s ascent. The first three stages all burn RG-1 propellant – a refined petroleum product – which is oxidized by liquid oxygen. Once the engines ramped up to full thrust, Soyuz was released and began its ascent towards orbit. The first and second stages burned together for the first 118 seconds of the mission, before the first stage exhausted its propellant and separated. The four boosters was released outwards from the core, venting residual oxidizer to push them away from the second stage to avoid unwanted contact after separation. 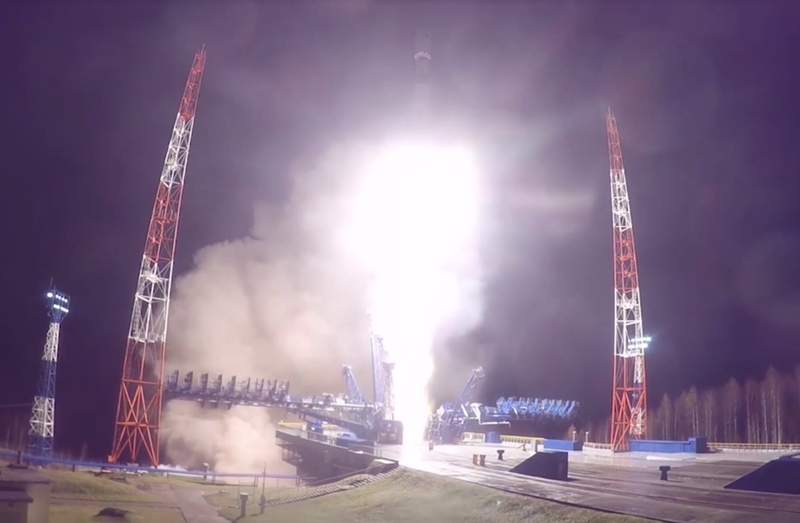 The failure of one of the first stage boosters to vent oxidizer at separation – and subsequent recontact between this and the second stage – was the cause of last month’s launch failure during the Soyuz MS-10 mission. The second stage continued to power Soyuz towards orbit for another 170 seconds after first stage separation. Shortly before the second stage burns out, the third stage – Blok I – ignites its RD-0124 engine and separated from the second stage. Known as a “fire in the hole” separation, firing the third stage engine while the second stage is still burning keeps propellant settled in the third stage, so the rocket does not need to carry additional ullage motors. The third stage will burn for between four and five minutes. To protect the Uragan-M satellite from Earth’s atmosphere, and preserve the aerodynamic characteristics of the rocket, the spacecraft and the Fregat-M upper stage were encapsulated within a payload fairing at the nose of the rocket. Upon reaching space, this structure is no longer needed and is discarded to save weight. For Soyuz launches, fairing separation typically occurs late in the second stage burn, or soon after the second and third stages separate. Fregat will separate from the third stage soon after the end of the third stage burn. Powered by a restartable S5.98M engine, which burns unsymmetrical dimethylhydrazine and dinitrogen tetroxide, Fregat will make three burns spread over about three and a half hours. Uragan-M No.757 separated from Fregat shortly after the end of the third burn. Upon reaching orbit, the satellite is expected to be renamed Kosmos 2529, in keeping with the standard naming scheme for Russian military satellites. Saturday’s launch was targeting a medium Earth orbit (MEO), about 19,100 kilometers (11,900 miles, 10,300 nautical miles) above the planet at an inclination of 64.8 degrees. The launch of Uragan-M No.757 was the second Soyuz mission since an older Soyuz-FG rocket malfunctioned during the launch of Soyuz MS-10 to the International Space Station last month. A State Commission completed its investigation into the failure a few days ago, with its report released last Thursday. While Soyuz has been launched while the investigation was ongoing – returning to flight on 25 October with the launch of a Lotos-S1 military intelligence satellite – the result of the investigation and Saturday’s launch served to restore confidence before the next launch of crew to the International Space Station in early December. Before then, two or three more unmanned Soyuz launches are expected. The first of these will come as early as Wednesday (Tuesday at its launch site in French Guiana), with the European MetOp-C weather satellite. Progress MS-10, a cargo launch to the International Space Station, will be conducted from Baikonur in mid-November. A military launch from Plesetsk with a Neitron satellite could also occur in November or December.